Each year families are asked to make a voluntary donation with the goal of fully funding classroom supplies for all students at Alisal. The request is usually at Back to School night, however due to multiple requests to simplify things, we moved this request to Future Fund. For 3rd - 5th grade, the cost of supplies per student is $75. 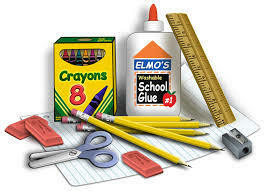 Supporting our "supply fund" means that when your child arrives on the first day of school, pencils, pens, crayons, copy paper, books, glue sticks, markers, rulers, binders, folders, erasers, etc., will have already been purchased by his/her teacher to fit the specific needs of that classroom. It also means that you, as caregivers, get to avoid shopping with supply lists, last minute trips to the store, or lugging supplies to class on the first day of school. Your donation for these supplies benefits every child in our school, and we appreciate your generosity! Your support allows Alisal to continue to be able to provide this convenience to our teachers and families. The attached FAQS have been thoughtfully put together to answer any further questions you have about the supplies donation.